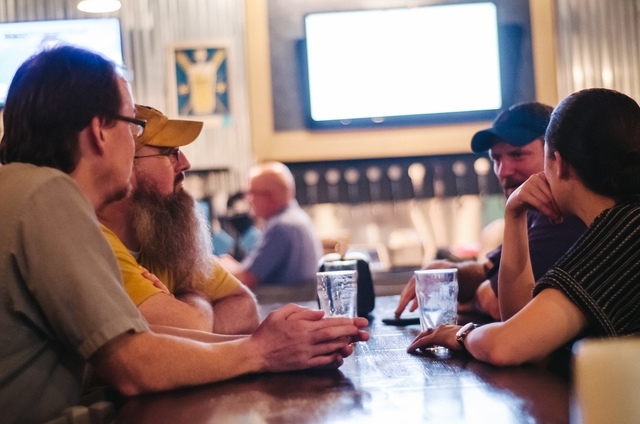 The taproom for East Nashville Beer Works is open seven days a week. We are family friendly, dog friendly (in the beer garden), have a great food menu, and lots of fun things for your entertainment. 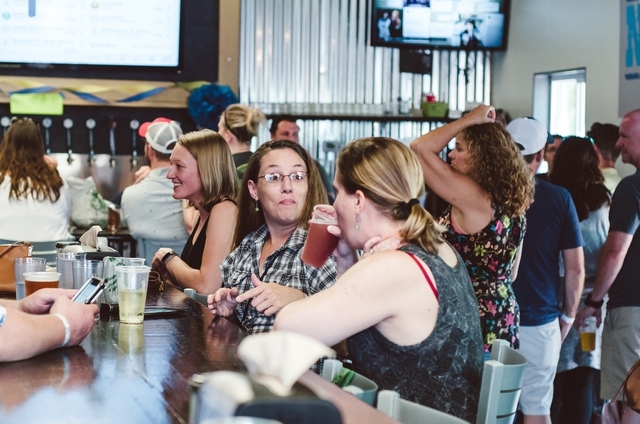 Our goal is to serve amazing beer and food in a fun atmosphere. Small and one off batches are available every week in the taproom. We often post these on our Facebook page whenever we tap something new. Cool people, comfy seats, outdoor space, amazing beer and food, what could be better! Beer is available in pints, flights for sampling, and even a half-pint for when you just don't want the full pint. We also can offer you a keg or half keg ("slim quarter") for your next party, and we fill growlers to go. East Nashville Beer Works also has a "Crowler" Machine. Crowlers are a new alternative to glass growlers, allow for more mobility, and keep the beer fresher longer. Essentially, a Crowler is a 2-pint can you can take to-go. In our dock area, we have darts! 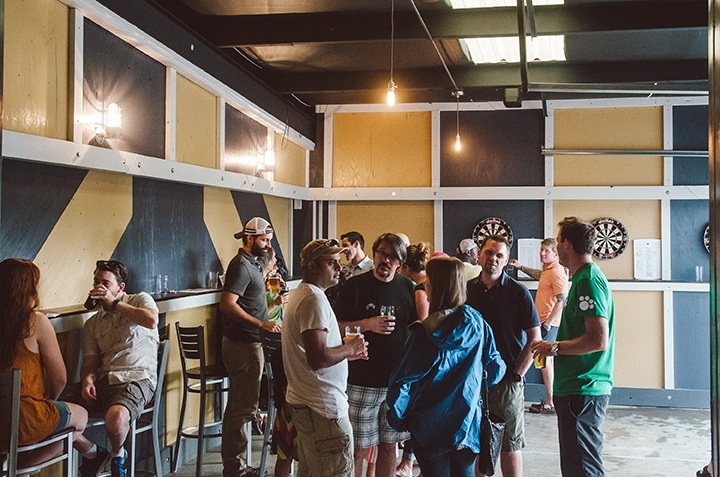 Three regulation height and distance dart boards, make for a fun hang away from the main taproom for your group. Perfect for special events as well to take over a separate room in the taproom. 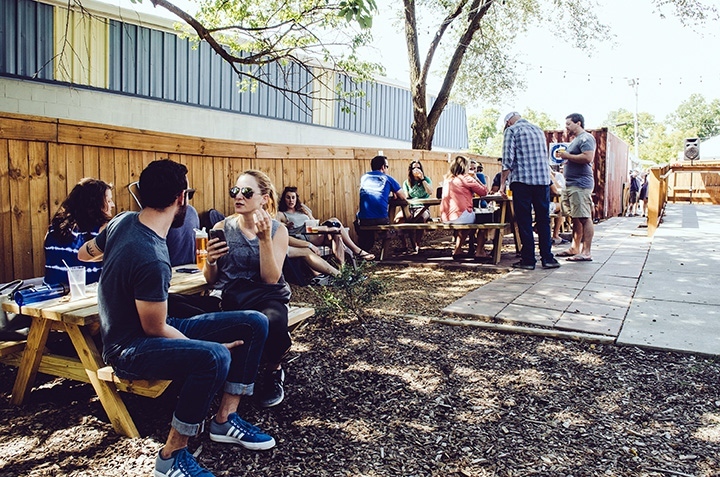 The outdoor beer garden has quickly become a popular spot in our taproom. We have a deck that wraps around the entire back and side of the building, picnic tables for everyone to be comfortable, umbrellas to block the sun on the weekends, and perfect atmosphere for beer drinking! 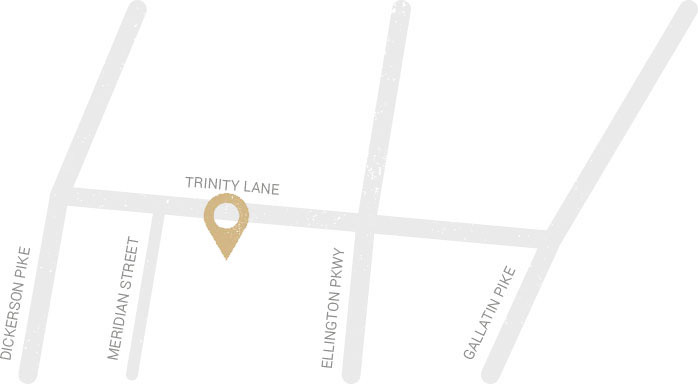 Join us for a few pints after work or on the weekend with some great outdoor space to enjoy!